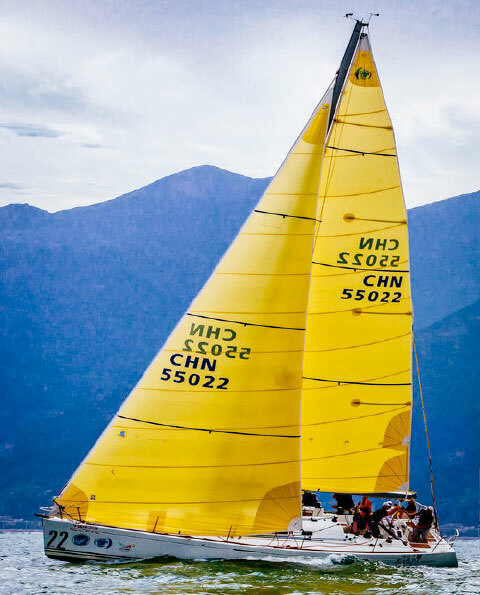 A Beneteau 40.7 with yellow aramid Flex main and genoa. Diagram 1. 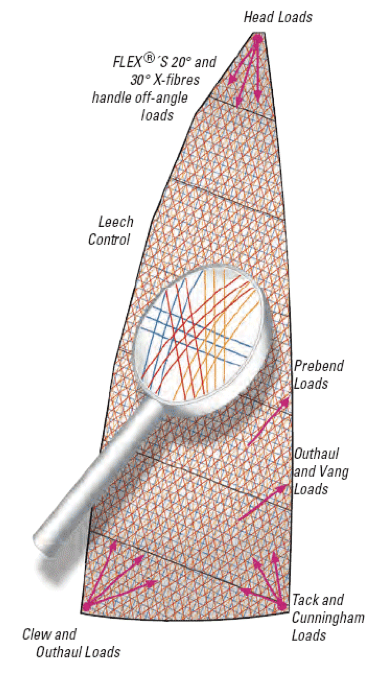 Cross-cut panels with Fill Oriented cloth shown oriented perpendicular to the straight-line leech. 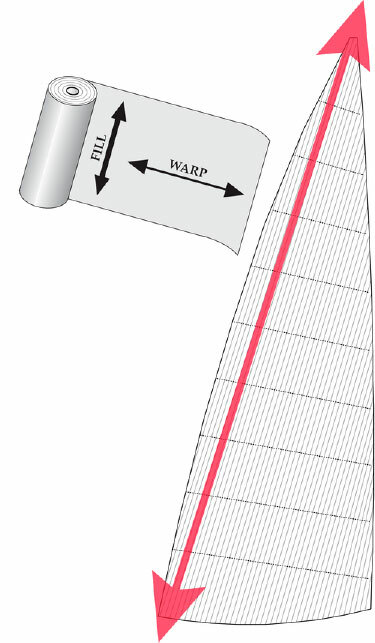 The inset shows the “fill” and “warp” thread directions. In a fill oriented cloth, the fill yarns are stronger than the warp yarns. 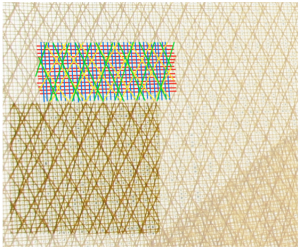 Photo 1.Fill yarns shown in blue, warp yarns shown in red, 20° X-Ply yarns shown in green and 30° X-Ply yarn show in yellow. 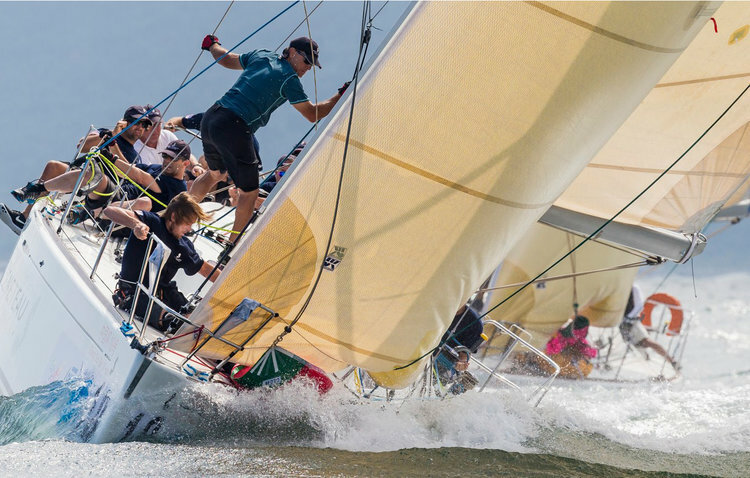 The two sets of X-Ply yarns are closer to the fill direction than the warp direction to support the loads along the leech, where the highest loads in the sail run. 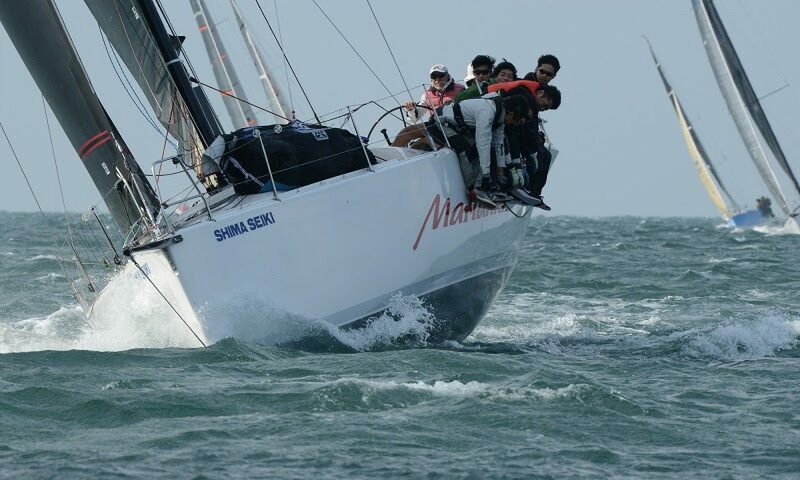 A Beneteau 40.7 with an aramid Flex mainsail and No. 3 genoa.